WISGED – basged draddodiadol Gymreig wedi ei llunio o stribedi o dderi a mieri / WHISKET – a traditional Welsh basket made from oak strips and briar. Gweithgareddau am ddim i bob oed. Dewch o hyd i ni yn Stiwdio Horsebox, Neuadd Morgannwg Ganol. Free activities for all ages. Find us at the Horsebox Studio, South Glamorgan Hall. Cydnabyddiaeth ffotograffau: Toril Brancher. Gyda diolch i Stuart Fry. Photo credit: Toril Brancher. With thanks to Stuart Fry. 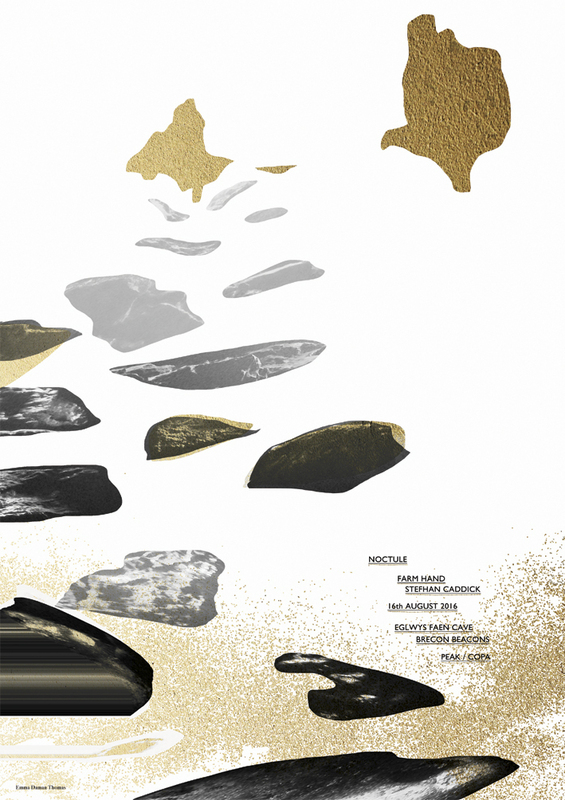 Peak has been supporting artist Sarah Rhys, based in Mamilhad, Monmouthshire, with her current project Coal Tree Salt Sea. Sarah is preparing for a solo exhibition at Abergavenny Museum from 18th Jan – 1st March 2017. ‘Coal Tree Salt Sea began in Ystradgynlais when I met the Josef Herman Art Foundation Cymru. I was interested in archiving work for the Mining Josef Herman Project. Through this initial meeting the Foundation became interested in the way that I working and in particular my approach to ‘place’. This led to an invitation to develop an artist residency in partnership with them for which I was awarded a research and development grant from the Arts Council of Wales. Sarah is self publishing an artist book with her Coal Tree Press to accompany the exhibition at Abergavenny Museum, which will also be presented at Oriel Q, Narbeth from 5th August to 3rd September. The following extract is from a conversation with Dr Iain Biggs, Co- Director of PLaCE International. Iain Biggs: How did the Coal Tree come about? Sarah Rhys: ‘I had spent a few days in Budapest in Autumn preceding my residency. In the Jewish Quarter, I was particularly moved by a sculpture in the garden of the Synagogue: a huge silver tree that bore the names of Jews murdered by the Nazis, engraved on its leaves. At the base of the tree were branches representing whole families that had been systematically destroyed It was a very striking image. In the Judaic, Christian and Hermetic tradition of the Kabbalah, the Tree of Life is the central mystical symbol. Later on, after I had started my residency, a strong and compelling image came to mind: of coal pouring from a cattle horn and then later from a hollow tree. A sort of inverse geology and cornucopia. I wanted to make something outside in the landscape and wanted to find a hollow oak tree. Oak felt appropriate, significant: both oak and animal horns feature widely in Celtic culture. In Welsh, oak is derwen, and druid is derwyddon, which means oak knowledge. I met Arwel Michael from the Ystradgynlais Heritage and Language Society through the Josef Herman Art Foundation. He took me to a tree on a hill in nearby Cwmgiedd, where he lives. This ancient hollow oak had served as a den for him and his friends in childhood. This oak had all the right qualities. Arwel had acted in the Humphrey Jennings documentary film The Silent Village (1943) in which he appeared, aged two, sitting on his father’s knee. Humphrey Jennings chose Cwmgiedd as a parallel village to Lidice in the Czech Republic. Limelight is a project developed by collaborative artists Rob Smith and Charles Danby, based in Newcastle. 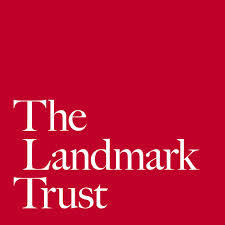 Supported by Peak/Copa and the Canal & River Trust, the project researches and responds to the working landscape of canals, quarries, tramways and kilns that serviced the lime industry of the rural Black Mountains which in turn fed the nation’s heavy industries that roared through South Wales. For their Cardiff Contemporary commission, the artists have used digital means to bring reflections on this history to urban audiences by streaming live illuminations at nightfall from Llangattock Limekilns in the heart of the Brecon Beacons National Park to the Welsh capital and online. The live stream event (on 22nd October) presented multiple perspectives of landscape, combining live with recorded footage, audio and performance in an immersive experience. The illuminations were created with limelight itself, an intense, pure white light generated through heating quicklime at high temperature, used in the 19th century for land survey work and stage lighting. Each live broadcast will lasted as long as it took for the chemical reaction to be exhausted. Peak/Copa pitched up its Horsebox Studio outside Cardiff Castle during the opening weekend of Cardiff Contemporary (Friday 21st – Sunday 23rd October) which acted as a resource space for members of the public with an intriguing collection of artist films, vintage books, maps and lime materials related to the Limelight project. Rob and Charles organised a replica limekiln burning at Llangattock during their research week in the Black Mountains in September 2016. The public event introduced the project and facilitated discussion about the lime industry and canal network. Artists Rob Smith and Charles Danby are based in Newcastle and have collaborated since 2011. Rob brings a materially engaged approach to digital technologies, exploring the possibilities of live and networked art such as Radiometer (2011) and Field Broadcast – a live streaming project that enables artists to make live broadcasts from remote sites. Charles brings wide academic and curatorial experience challenging conventional approaches to archives and British art histories including projects such as Grand National – Art from Britain, Vestfossen, Norway (2010), Animated Environments, Siobhan Davies Studios, London (2011-12) and Das Traumann at Baltic (2015). He is a senior lecturer at Northumbria University. In 2014 Smith and Danby organised Revisiting the Quarry, a symposium in conjunction with the Hayward exhibition Uncommon Ground: Land Art in Britain 1966-79 at Yorkshire Sculpture Park. In 2014 the artists were commissioned as part of Shelter, a project on Lindisfarne, Northumberland. Taking limestone from a quarry on the island they made a small scale lime kiln and produced quicklime that was subsequently used to create new sculptures called Repaired Rocks. These works repaired limestone rocks from the quarry, extending themes of industrial process within the landscape and the nature of post-industrial reparation to a site. Peak/Copa creates opportunities for contemporary art in the Black Mountains for the benefit of the region’s artists, communities and visitors. The inspiration for Peak lies in an enthusiasm for the exceptional artists working in the Black Mountains and the distinctive, natural landscape of the region as a unique resource. Peak works in partnership with environmental and heritage organisations such as Canal & River Trust, The Landmark Trust and the Brecon Beacons National Park Authority. These organisations share Peak’s vision for bringing artists, sites and audiences together. Peak/Copa is an Arts Alive Wales initiative. Cardiff Contemporary is a citywide festival of contemporary arts, showcasing a programme of exhibitions, events and activities over five weeks. 20 October – 19 November. Limelight is part of the Canal & River Trust 2016 Arts on the Waterways programme. The programme offers time and space to artists, producers and curators to make new work and engage new audiences for both the waterways and the arts. Peak is one of five projects currently supported by the Digital Innovation Fund for the Arts in Wales, a strategic partnership between Arts Council of Wales and Nesta. The partnership is helping arts organisations in Wales to experiment with digital technology as a tool to reach new audiences. Peak is working in collaboration with BBC Cymru Wales to research the use of live-streaming digital technology in site-specific locations in the Brecon Beacons National Park. Established in 1995, Ty-Mawr Lime Ltd has made an enormous contribution to resurrecting the use of traditional building materials. Ty-Mawr has gone on to become a market leader in the design, manufacture and distribution of environmentally-friendly building materials and systems, providing a ‘one-stop’ shop for its customers and clients across the UK. Farm Hand the solo project of Mark Daman Thomas (member of Islet and founder of Shape Records) collaborated with artist Stefhan Caddick who works in video, installation and performance. 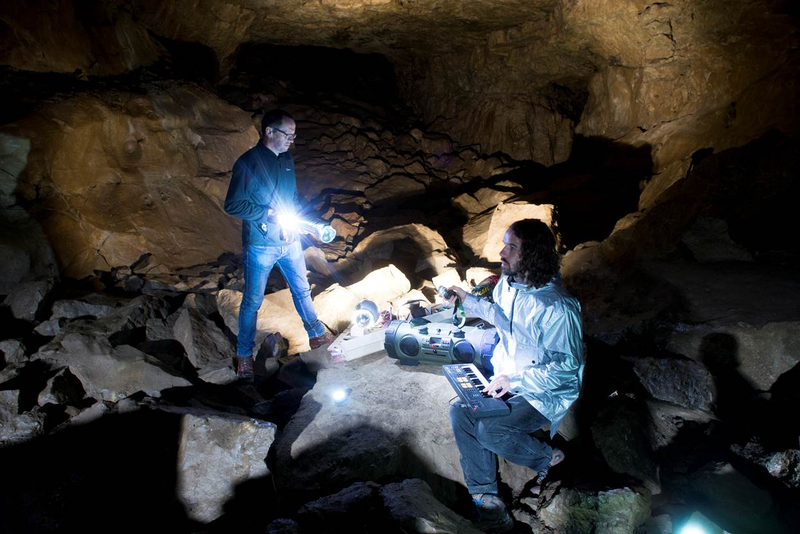 The pair created a new, site-specific live performance called Noctule, taking place underground in Eglwys Faen (Stone Church), a cave on the Llangattock Escarpment, three miles from the Green Man festival site. The piece responded to the unique acoustics, history and habitat of the cave system – one of the biggest in Europe and home to a colony of Lesser Horseshoe bats. You can read an interview with Stefhan Caddick and Mark Daman Thomas, published online with The Wire www.thewire.co.uk about the collaborative process and logistical challenges of creating Noctule. On Tuesday 16th August 2016 an audience of 10 people took part in a guided walk through the dramatic Craig Y Cilau National Nature Reserve to experience the performance in the cave and discover the unique ecology and history of the landscape along the way. The recording of the performance was screened at Peak’s Horsebox Studio and experienced by 750 people throughout the Green Man festival weekend. Musician and Designer, Emma Daman Thomas created a limited edition of 50 x A3 Risograph prints in celebration of Noctule. On The Edge, Peak’s fringe programme of cultural talks from border land, celebrated the National Eisteddfod of Wales in the county of Monmouthshire and involved over 150 people across 7 days (30 July – 5th August) of events that considered the artists and writers of the Black Mountains. The talks took place in the intimate surroundings of The Cabin of Curiosities, an antiques and collectables shop in the heart of Abergavenny, a short walk from the Eisteddfod Maes. (Images from Paul Cabut’s talk about photography in Newport. Five writers – Emma Geliot, Rhys Trimble, clare e. potter, Cari Barley & Siôn Aled Owen – respond to each day of On The Edge. so wrote Gerallt Lloyd Owen in 1974 about the way a child can see a voice and hear a picture. And as Paul Cabuts took us through some of the ways he has used and developed the craft of ffotograffydd – photographer, I too began to wander back and forth along that tingling border between the visual and the verbal, rhwng y gair a’r darlun. Ac wrth iddo ddweud ei stori, a sôn am ffotograffau’n adrodd stori, mi welais innau stori. And as he shared his own story and spoke of photographs telling their story, I saw a story. Paul talked of his tutor tearing two of his early photos in half and putting them together – “That’s what you want.” Maybe that’s the photo I feel I have to make as well, of y Fenni and Abergavenny, the Maes and the gossiping street, Cymru and Wales. If anything has the spiritual uplift of Sufi singing , it is Jon Gower’s offering; his words swell and swarm and settle in the cabin where curious minds have come to learn of path-treading, love of land, and how extraordinary things happen when idea-sharing. I think of my inner landscape, the women who gather behind me, an endless thread—and my father who walks and understands what is meant by measuring distance and coming home. and your temper burns and why you always break into song at night. which seep their way in and cover you, smother you. fears the belt coming off and her back braces for its slap. yn fodlon teithio’n ddwfn yn lle yn llydan. bob cam yn dod â chi’n agos at eich mam chi. tra mae’r barcud coch yn gleidio dros eich tafod. to travel deep, not wide. brings you closer to your mother. as the red kite revisits the sky. each divine step, with a true touch. This has been a difficult task, responding creatively to a reading of works that were poignant enough. Chris Meredith and Tom Bullough shared their process of writing poems, and a novel, addressing, thematically, how each was inspired by, influenced by, conscious of knowing the land, heartland, headland, addland, Y Gororau, yr ymylon, y ffiniau, it’s people, it’s language; the process by which over time those slip away, unless . . .
I’ve not been able to articulate anything. I suspected this would happen the moment the audience in the Cabin of Trugareddau, clapped, bought books, hesitated to leave. Trugareddau: ‘mercies,’ ‘odds and ends’, not quite curiosities: ‘chwilfrydeddau’, the things we are looking for. When seeking an exact word, sometimes an unexpected, unknown word arrives as a gift . . . . In the garden, afterwards, a juvenile song thrush with scrawny feathers beat its wings less than a foot away from my table ( ). I watched it hover. Felt the rhythmical wafts of air, heard the inexpressible sound of its pause-in-flight. That took energy, bravery. This little one wanted crumbs, briwsion (fragments) from my plate. Or did it? I have never before encountered a non-captive bird so . . . intimately. Was I breathing? Our eyes conversed and immediately, there was no bird-self, or me(? )-self, no teagarden, teacup, no pressure to respond; it was the infinite moment between moments. corrections, interlineations . . . I was to start afresh, then, to get a style of my own . . . I saw my task clearly; not to capture what was said by two fine writers firmly established in the literary canon. My words, their words, no match. I knew I must be true, in my plain clothes, to my own tongue, to where my mind went as they spoke. It’s no insult to them, there is time enough to re-read their pages and re-immerse in their meanings yn y gogoniant o’u eiriau. which run through this hill’s heart. all your joy coming back to me. Anthony Shapland is an artist who works with moving image, while Richard Bevan, the winner of this year’s Eisteddfod Gold Medal for Fine Art, is more sharply defined as an artist film–maker, working specifically with 16mm film, which has often been made in direct response to a particular location. Bevan, from Maesteg, completed a BA in Fine Art at Cardiff School of Art & Design, where he was based in the Printmaking department, where he had the freedom to begin his investigations into filmmaking. This continued during his MA at The Slade and he now lives in London. One of his first exhibitions was at g39, the artist-led gallery in Cardiff, of which Shapland is a founding co-director. For that show, Richard Bevan (the artist doesn’t like titles), in the gallery’s original home in Mill Lane, he filmed the window frames and surrounding woodwork in the original baby blue. They were then painted black. The film was projected, upside down, onto the wall inside the gallery, a topsy-turvy echo of the view through the gallery window. He also filmed a hidden Victorian spiral staircase within the g39 building, having first painted the steps in the colours of the rainbow, and this was projected upstairs in the gallery. Bevan doesn’t like interpretive texts or press releases, wanting his audience to work at what they are looking at. For the g39 show he produced a series of publications, each in a rainbow colour containing texts and responses by other artists to his work. Understanding the framework that Bevan creates for the ways in which his work is seen is crucial. He won’t submit films for show reels and he rarely shows his work in a screening environment. His work is intended to be seen in a particular way and his four films at Y Lle Celf underline the dynamic between the projector, the projected image (“light and shadows” as Bevan describes it) and the viewer. This is the first time he has shown so many works together – three in one space, one in its own room. Bevan is clear that although 16mm film is expensive and time-consuming there is a physical quality to it that can’t be replicated digitally. Knowing what the subject matter is isn’t important – Bevan doesn’t talk about his intentions. The films are loops, sometimes very short but with each loop something new emerges. There is little action, tiny shifts or small gestures, which intensify with meaning after each loop. Shuntaro Tanikawa’s poem, A Personal Opinion About Grey, is a touchstone for Bevan, talking as it does about white and black and how one becomes the other. He says, “ I’ve had criticism for relying on the beauty of the image. The beauty comes from the aesthetic beauty of film and light”. Shapland adds, “There’s a seduction, like stained glass is seductive [because] it’s light”. Rain pattered on the corrugated roof, birdsong suddenly erupting from the garden surrounding the Cabin of Curiosities, the antiques standing as silent sentinels to the human crowd gathered safe from the Welsh weather. Tyner were the speakers and listeners that day, as Llwyn Celyn’s memories, inspirations and dreams swelled in that small space. Light and darkness. Lake took his audience on a walk through his images of Llwyn Celyn. He placed golau in the fractures of the buildings’ walls, and shone light through time, the disintegration of man’s creation. The still buildings, we saw, were no longer llonyddwch, but walls were yawning away from each other, moving outwards to llithro down the gradient of the valley. The eiliad llonydd was a myriad of movement, caught in the periphery. Gall y glaswellt cofio? Could the grass remember when the farm was hustle and bustle, the medieval hall filled with roaring people? Brancher brought our focus to the plants of the area and what they had known and seen of people’s histories at Llwyn Celyn: we saw the sloes in the hedges, the elderflower that people of the past had perhaps mixed with honey, the llwyni that housed a plethora of plants. She took us inside the farmhouse and we saw the floral wallpaper blistering in the awel from the fractured walls, yn hel atgofion of families fighting against the tide of time and elements. We saw the medieval sedd where many had rested, a bridge between the generations of people who had lived there. The windows and their curtains gave us views over the valley, the Welsh mountains with their woodland, the defaid in their caeau. All those who had woken each morning and peered at the tywydd – was it the day to cut the hay? Then we were returned to the Cabin of Curiosities, the promise of the Landmark Trust to conserve this history, this Welsh landmark. We saw the photographs of high fences, diggers and trenches healing the tired walls, patching the fractured surfaces, teasing the nant that loves to run through the house to play away once again. Rebecca Chesney was the first Peak artist in residence for the Black Mountains in partnership with the Brecon Beacons National Park Authority, where Chesney had met Alan Bowring, one of the National Park’s geologists. Bowring provided rich material for her research into the area, which in turn informed Snapshot, the colour chart that she produced at the end of her residency. While Chesney responded to the colours and visual stimuli above ground, Bowring’s insights produced an alternative understanding of how the local topography had formed. Their conversation covered an enormous amount of ground in two hours. Bowring talked of his love affair with red sandstone rocks and the stories they reveal. He described the formation of the South Wales coalfields, created by a fold in the rocks which forced coal into seams, transforming the South Wales landscape forever. Had this geological event not occurred the Brecon Beacons National Park would have covered a much greater area, there would have been no dense settlement of the Valleys and the history and culture of Wales would have been dramatically different. Chesney’s residency was an antidote to the over romanticising of landscape. Snapshot offers a realistic palette of land use, from Bale Wrap Green to Cagoule, – referencing all the walkers on the mountains, She – a bright pink that is one of the limited colour choices for women walkers’ weather wear, and to Shot Fox and Dog’s Breath. In Early January Celandine, Chesney also notes the effects of climate change on local flora. The language we use to talk about our environment is often revealing and as a fringe event for the biggest celebration of Welsh language culture of the year, it’s worth introducing some Welsh words to encapsulate the two-hour conversation. Y Byd – the world. Bowring described the journey of the current British landmass as it broke away from Pangaea and the reconnection with Scotland as over millennia rock pressed against rock to force up a mountain range. Y Ddaear – the Earth, the product of heat and shifts far beneath our feet while we live on the surface. Creigiau – rocks. Moving repositories of minerals and the earth’s history. Cerrig – stones. As big as monuments or palm-sized episodes. Hanes – history but also story. Llên gwerin – Folklore. The stories to explain what is not understood. Y Tir – the land. A more prosaic description of location, often subjective. Y Milltir Sgwâr – the square mile. Our personal terrain. Yr Amgylchedd – the environment. Reaching beyond territory and connecting/affecting everyone. Y Bobl – the people. Our time is being called ‘The Anthropocene’, it is now humans that are shaping the world far more radically than geological events. Plastig – plastic. The audience asked how we would be remembered. Would our geological layer be defined by plastic? Would future civilisations create explanatory myths around our fetishisation of the dog excrement sealed in plastic bags? Amlddisgyblaethol – multidisciplinary. Fossilised excrement is called ‘coprolite’ and brings together two ‘-ologies’, geology and anthropology. As the talk wound to a close it was clear that different specialists are more collaborative than we might think. £3 awgrym cyfraniad wrth y drws. Lleoedd cyfyngedig. Y cyntaf i’r felin. Ymddiheurwn nad oes mynediad llawn i’r anabl yng nghaban y Cabin of Curiosities. 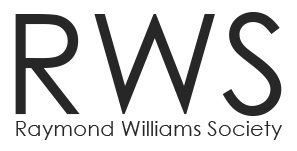 Cysylltwch â: rebecca@artsalivewales.org.uk / 01873 811579 i drafod gofynion mynediad. £3 suggested donation on the door. Places are limited. First come first serve. We regret that the Cabin of Curiosities does not have full disability access. Please contact: rebecca@artsalivewales.org.uk / 01873 811579 to discuss access requirements. Two young writers from the Arts Alive Wales‘ Caban Sgriblio project respond to Rebecca Chesney’s residency in the Brecon Beacons National Park. I’m not sure where I was expecting Rebecca Chesney’s Snapshot: Colours of the Brecon Beacons exhibit to be held, but it wasn’t in a room painted with canal water! Of course, it wasn’t literally canal water. It was a colour from Rebecca Chesney’s colour chart – number 21, Mon & Brec, “a cold colour from Monmouthshire and Brecon canal water.” Though I didn’t immediately realise it, that was the first colour I saw of Chesney’s amazing selection of 96 colours inspired by the Brecon Beacons. To collect the colours she stayed for six weeks in the National Park, split into a week in November 2015 and two and a half weeks in January and March 2016. During this time, she went walking almost every day over the picturesque mountains, into abandoned quarries and through rolling, soft, green fields. Taking endless photographs and collecting samples, she slowly built up an enormous palette of colours she associated with her time in the Beacons. Back to the celebration. In the centre of the room were displayed an array of photos Rebecca had taken of everything, from clear streams gleaming over dark, smooth stones, to the head of a shot fox with its tongue lolling out from between its teeth, and a sheep’s ribcage surrounded by coarse white wool. Some of the photographs were of things you wouldn’t usually think to take pictures of – things you would normally try and avoid – like rusted farm machinery, half buried in the green-cloaked ground, or a bloated sheep’s corpse caught on branches in a river, along with rubbish and plastic. She had samples too – feathers, red-brown like rust; soft, grey fur; pressed flowers, moss, lichen, even pieces of plastic and silage wrap. All of these she had collected in the National Park, and all had contributed in some way to her final colours. And at the end of the room, there it was. In a white frame, behind perfectly clear glass, a beautiful selection of 96 colours, culled from her experiences, ranging from the vivid “Intrepid” to “Bale twine blue” or the bright, eye-catching “Gorse flush”. Not every colour was quite so blinding – we mustn’t forget the soft grey of “Newborn lamb” or the delicate shade “Blossom of blackthorn”. They weren’t just colours – every shade had a definition explaining where the colour came from and what it meant to Rebecca, sometimes accompanied by a fact about the Brecon Beacons. Rebecca told us that she hoped the definitions would give people a hint of the story behind each hue and that in using some of the colours, they might build up their own “snapshot”. Rebecca Chesney made a speech once everybody was present and explained all about her residency. She thanked us all for coming and then thanked specific people for their efforts in relation to the project; we heard how a local artist guide supported her to take her to interesting places in the National Park, from farms to mine shafts. Personally I found Rebecca’s approach fascinating and unusual. It was like she had taken a place, with all its features, wildlife, population and landscapes and boiled it down to its essence. I usually think of a place in terms of whole images, but this colour palette was something just as unique and in fact it was unique not only to the place, but to the person and time of year as well. It is a way of representing a location that I had never considered before but was just as effective and open to personal interpretation. Rebecca Chesney’s project made me think about places and colours in an entirely new way, and I thoroughly enjoyed the experience. Thank you Rebecca, Peak and Arts Alive Wales! When I went to Arts Alive Wales to attend the Peak launch of Rebecca Chesney’s “Snapshot”, I was expecting paintings of the views or maybe abstract takes on them. Perhaps photos of the landscape and scenery, hence the name “Snapshot”? I walked in and there was not a painting in sight. Granted there were photos, but not the ones I’d been expecting. The first image that caught my eye was a decaying sheep carcass entangled in low tree branches in a small stream, quite contrasting my expectations. Another image which I wasn’t prepared for was a tree, in a field with black plastic snared around it. When I first thought about it, I was confused about why someone would want to capture such grim sides of the Brecon Beacons, as usually sights like that would be purposely avoided in photography. Everyone was still setting up when I arrived at the Arts Alive Wales studio. My friend Roxy was with me the whole time, examining the exhibition too. I was introduced to the artist Rebecca Chesney and to the Creative Director, Rebecca Spooner. The similar names made it rather confusing, but I managed to gain a grasp. I also gained a grasp of a large quantity of really delicious welsh cakes, but I don’t think that they were a part of the exhibition! The card was quite thick and had a bumpy texture, which made a satisfying whooshing sound when I ran my thumb across the front of it. The typeface on the front was plain and black. It had a simple and rather uniform look to it. I opened it up to see an entire spectrum of coloured squares, each with a fascinating title underneath it. Some were quite normal sounding, like white being named “Fallen Snow”. Others however were really very strange and some, rather funny. A good example of this, and one of my personal favourite titles went with a brownish red and was called “Faint Echo.” Other entertaining names were “Jelly Ear”, “Shot Fox”, “Dog’s Breath” and “King Alfred’s Cakes”. There were 96 colours on the leaflet in total each with an interesting description. Rebecca explained during her talk that colours were not just chosen to represent appearance, but to represent all of the things that she’d found out about the Beacons in her six weeks here. Using the views of all the people she’d met and everything she’d seen, she compiled a collection of hundreds of colours and narrowed it down to 150. Finally, she picked the 96 colours which featured in “Snapshot”. Rebecca Chesney wanted a dynamic palette of different interests, so she tried to meet as many people as possible connected to the Park. Another aspect of the exhibition was the Light Box. It was, as the name suggests a box full of light. It had a translucent top where the light glowed through. On the top were little pieces of paper with little scraps of countryside on them. There was a snip of pony hair, a clump of lichen and a yellow, pressed flower. There were also, little bits of black plastic and green litter. It was when looking at this that I realised why such ugly parts of the country-side were being presented in “Snapshot”. It was because everything, the rusting agricultural equipment, the plastic litter and even the rotting corpses were all now part of the landscape and as revealed in the colour chart, Rebecca wanted to show everything. The exhibition, I think gave me a new perspective on the countryside. I think that it is very original to portray the landscape in such an unusual way and it works beautifully. The final result of Rebecca Chesney’s work, I think really sums up the Beacons terrifically well and the name “Snapshot” fits perfectly.